PHILADELPHIA, PA – DECEMBER 5, 2011 – The Philadelphia 76ers Chief Executive Officer and co-Owner Adam Aron announced today that the selection of the Sixers new mascot will be guided by the fans themselves. As one fulfillment of a pledge that the 76ers new owners are committed to listening to Philadelphia sports fans, they will have an opportunity to vote on the final three designs created by the heralded Jim Henson's Creature Shop™, working closely with the Sixers. Fan voting will begin immediately, on December 5, 2011 and will continue through 7 pm EST Friday December 9, 2011 at a new web site created specifically for the vote: SixersMascotFanVote.com. The All-American pet, B. Franklin Dogg is a loyal Philadelphia resident who can be seen in artist drawings from the day nestled under the table beside Ben Franklin as he deliberated on the founding of the nation. In the revolutionary fervor of the times, B. Franklin Dogg proudly wore patriotic colonial garb to show his spirit. 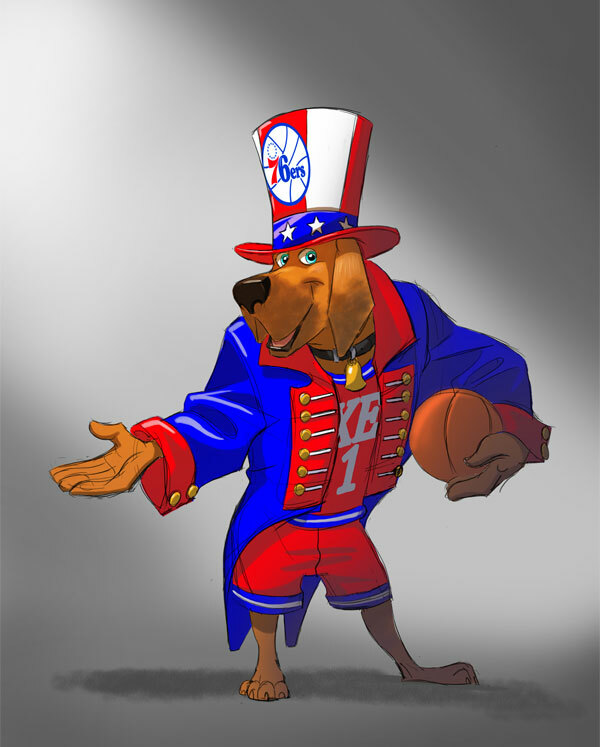 Over the years, B. Franklin Dogg was occasionally seen playing with a basketball around the historic landmarks of Philadelphia, before finally making his way up Broad St. to the Wells Fargo Center. 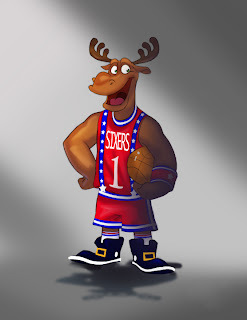 One of the most regal animals to roam the wild, Phil E. Moose certainly fits that bill, standing tall as he represents the Sixers (he stands over seven-feet tall in fact, with the antlers). In his youth, Phil E. Moose would often be seen dunking a basketball with ease, aided by his great height. Throughout his high school, collegiate and professional games, Phil E. Moose was a scoring star, and was excited to learn he had been "traded" to the 76ers in order to entertain fans during games at the Wells Fargo Center. One of the most revered figures in American history, and a man who needs no introduction as an honorable representation of this city and nation, "Big Ben" Franklin will now come back to serve Philadelphia yet once again. An avid basketball fan, Big Ben was thrilled when asked to join Philadelphia sports fans in cheering the 76ers on to greatness. As the Sixers new mascot, he will bring electricity to the Wells Fargo Center, and be a towering presence at Sixers games –both figuratively and literally, as he stands seven-feet tall. The introduction of a new mascot comes at a time when the Sixers new ownership has pledged to transform and enhance the game presentation at Sixers games. 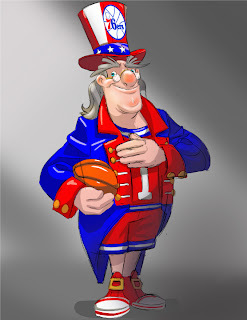 Once a new mascot is selected by fans, the Sixers will benefit from the advice and wisdom of David Raymond of the Raymond Entertainment Group in animating and bringing the new mascot to life. Raymond was the original Phillie Phanatic for some 15 years. The new mascot will be unveiled early in the 2011-2012 NBA season.